For the third time in the Harbaugh era, Michigan will take on Florida. 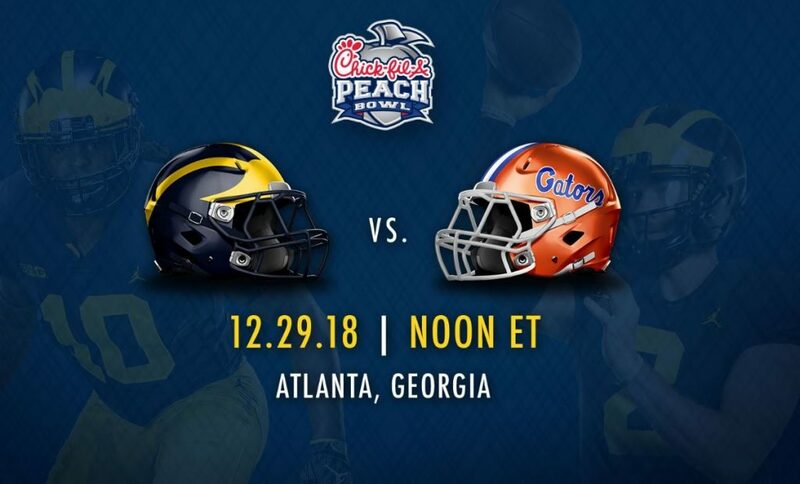 I know you’re super excited to see the same teams play again in a bowl game for the 4th time and this time it’ll be even better as this time it’ll be in an NY6 Bowl Game as the #7 Wolverines and the #10 Gators will battle at noon in the 2018 Peach Bowl in Atlanta. Michigan is 4-0 all-time against Florida, including the Tebow beatdown in the 2008 Capital One Bowl, Harbaugh’s only bowl win at Michigan in the 2016 Citrus Bowl, and the 2017 season opener in Dallas. That’s why the majority of the fan base isn’t too jazzed about another matchup with the Gators but it shouldn’t take away from the 2018 Michigan Wolverines wrapping up a nice season with a big bowl win. What do you think about the latest Michigan-Florida matchup? Let us know in the comment section below!